Matt Shively Talks Paranormal Activity 4, available on Blu-ray and DVD today! The Paranormal Activity franchise has become a perennial horror favorite with each new chapter in theaters around Halloween time, and then the subsequent Blu-ray and DVD release arriving in the winter. Paranormal Activity 4 was a box office smash when it hit screens last year, and now you can watch it in the comforts of your home starting this weekend, where it was meant to be seen. With each new film comes more background and mythology on the demon known as Toby, an evil soul that has attached itself to a young woman named Katie, and is literally in the midst of dragging her, and everyone around her, straight to Hell. In our latest installment, The possessed Katie (Katie Featherston) has moved across the street from a young family in a suburban neighborhood. The daughter of the household, played by Kathryn Newton, discovers Katie's secret, and things do not end well for her and her boyfriend, played by Matt Shively. To celebrate the release of Paranormal Activity 4 on Blu-ray and DVD, we caught up with Matt to find out some of the secrets behind this sequel. 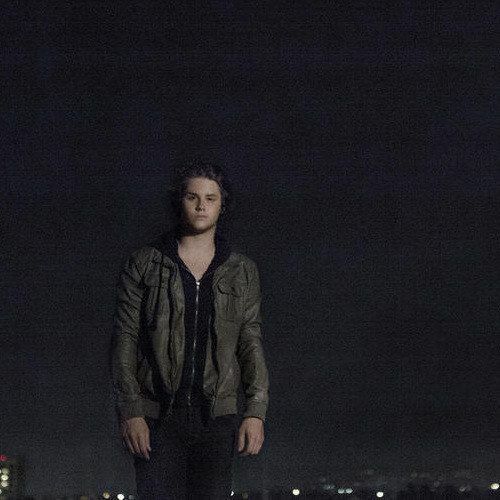 Does Matt Shively know anything about Paranormal Activity 5? Here is our conversation. Take me on the set with Henry Joost and Ariel Schulman. What kind of atmosphere are they bringing to you guys every day? What are their methods of madness? It's still speculated to this day that Catfish wasn't real, and now, with these movies, they are working on the opposite end of that, with a movie that is fiction, though some people think its based in fact. Matt Shively: The first thing I want to say is...If they were lying about Catfish, I'd be pretty upset at the end of the day. I hadn't seen Catfish prior to filming. We were into the second week of shooting this, and I said, "Okay, I have to see what these guys are making." I watched Catfish, and it blew me away. It was the most uncomfortable movie I had ever watched in my life. There is no way this is real. It has to be fake. At the same time, how do you find people that are this good at playing something that isn't real? I went and asked them, and Ariel said, "I swear on my mother's life, that movie is 100% real." I was like, "Okay, that is ridiculous." So I went back and watched the movie with the mindset that this is all 100% real. And that makes it even more uncomfortable, knowing that it all happened. Henry Joost and Ariel Schulman are both such intelligent guys. They are so young at the same time. They can relate to the things that I am feeling, and the things that are going on in my life, while also juggling work, and all this other stuff. I love improve. One of the best parts about this series is that 95% of it is all improv. They would let me do whatever I wanted, and then they would change it from there. As an actor, it is super awesome to create your own character, when they really have no vision of who this character is. You have to make it yourself. They are really cool with letting you go, and letting you find what needs to happen. On top of the improv, they are letting you use a laptop to capture a lot of what we see in the movie. In a way, you become the film's cinematographer for huge portions of the action. How challenging is it to be in control of that technical aspect of what is a huge blockbuster film, while being an actor in it at the same time? Matt Shively: You know, what's funny is...Unfortunatly, I never got to be on the other side of the camera, where it was showing me. The entire movie, when you see a Skyping shot with Kathryn Newton and I, I am always in a closet down the hall. I spent more time in a closet down the hall in the parents' room than any other place on the block that we were shooting. I spent 6 hours a day in a dark, non-ventilated closet. So it was pretty fun. But it got a little tedious. I had a computer, so I could go online the entire time. Now, jumping back a minute...Have you gone and watched the MTV series of Catfish? Matt Shively: Yeah, I have. That show is so intense. And Unfortunatly, there are so many times when it doesn't have a happy ending. I think when there is two weeks without a happy ending, and then they have a good one...The good ones are always so much better. They make you feel so good, and so happy that this is actually real, and not something someone is being fooled by. It's always so weird. These people are out there, and they are everywhere. Just look at Manti Te'o, that whole thing really happened. It's so weird to think that so many people do this. How many people am I talking to that aren't really them? No doubt. Watching that show makes you realize that the movie was probably 100% accurate. Matt Shively: Exactly. That is the one MTV show where I know I am watching 100% realness. I have met Nev Schulman a couple of times. He is really passionate about finding people that can fall in love with each other, and making sure that these people are who they say they are. It's a tough job for him, in general. He has to watch a lot of hearts get broken, but he is actually bringing people together. Which, in the end, is amazing. Matt Shively: Yeah. He is one of the nicest guys...Henry Joost, and Ariel Schulman...They all are...They are the best directors I've worked with so far, because I can relate to them. They know how to talk to me, and I can talk to them without being worried about the things that I say. Stuff like that. It was always good. They have a kick drum on set that they hit, right? To scare you guys? Matt Shively: Yes. When they are setting up a scene, they tell us that there is going to be a scare at some point. They will let us riff for three minutes. They let us go back and forth. They had an AD upstairs with a huge bass drum. He would randomly, at any given moment, smash it as hard as he could. Which, in a house like this, it's so big, and the sound travels. It shakes the house. All those jump startled moments, there is a bass drum being hit. We are literally scared at that moment. We know where to go, we just don't know when we are going to get there. How are these scripts written? Is it like Curb Your Enthusiasm, where you have the story beats written out, but there is no dialogue. Is the story completely fleshed out, or are you constantly finding moments on set that change the narrative. How does a Paranormal sequel work in terms of that? Matt Shively: Usually, what would happen...They had a script. There were full talking points. It wasn't line for line. What would happen is, we would go in to do the full scene, they would tell us to say all of these things, but we also needed to say that this might be happening, or this was going to happen, or that we needed to make up a joke. So we would throw stuff in, and throw it together. If they didn't like the scene as we originally did it, we would go back and re-film that scene, just to perfect it. With all of the scenes that we filmed, we filmed them two or three times on two or three different occasions. Just going back over it and perfecting it. They shoot it the way they want to, and then they shoot it the way they need to. It was fun, because at the end of it, when we are shooting that end scene, it really gets perfected. It settles itself. It gets really good at that point. Our best takes were usually those last shots, and that is what they went with. It was cool the way they did it. We're heading into February. Production is gearing up on part 5. I won't give away what may or may not happen to your character here...But do you know anything about the continuation of this series at this point? Matt Shively: It's so funny. What they do is...At the end of every movie, they take us out back like we are Ol' Yeller, and they act like they are about to put us down. I promised that I am going to keep my mouth shut, and because of that, they have decided that they are not going to tell me anything that is happening. I also have to keep my mouth shut about the fact that I'm still alive...This interview might get me in trouble...(Laughs) Honestly, they don't tell me anything. Even while they are filming, they don't tell you anything. There were multiple scenes in this new movie, when I first saw it for the first time, I had no idea they were even shot. Its just one of those things. This is one of the most top-secret things out there. I have no idea where the next one is going. I hope you come back. You are so good in the movie. You and Kathryn Newton are awesome. You guys brought the franchise a real breath of fresh air. What would you like to see happen? Or are you not allowed to speculate on that? Matt Shively: No, I can speculate on that. You know, I really enjoyed Paranormal Activity 3. It had a very nostalgic look to it. It took it back to the late 80s. I have a big love for the 80s, even though I was never there. And I love prequel things. The way the are doing it is that they are giving you a couple that are taking place nowadays, and then they give you one that is not. You get to see what happened before. I want to see another prequel. I want to see when they were teenagers and what happened then. That, or I would like it to be an all-out brawl between demons and this family that has been followed by these demons because of something...They made a deal...Maybe it wasn't them, but it was someone in their family. I would like to see where that goes. Matt Shively: Technically, I saw the demon. They had a demon on set. I'll tell you right now, it was the most terrifying thing, and we weren't even shooting. He was literally like a 7-foot tall guy with a huge suit thing on. He had a gnarly face. If they ever show you this demon, it's going to be one of the most terrifying demons you have even seen. Matt Shively: They will get to that soon, hopefully! Paranormal Activity 4 is on Blu-ray and DVD now!